The Friday Five: *NSYNC’s “No Strings Attached” Turns 15! This week mark’s the 15th anniversary of one of the greatest albums of all time – *NSYNC’s “No Strings Attached.” We have fond memories of pre-ordering the CD at Sam Goody, running to the mall after school the day it came out to pick it up. And of course, you weren’t cool unless you brought the album with you the next day and fangirled over the pictures of your favorite (JC and Lance) in the CD booklet! In honor of this momentous occasion, here are our favorite songs from “No Strings Attached.” We recommend celebrating by watching *NSYNC: Live from Madison Square Garden and dancing along. Everything about this song is amazing. The dance moves, the video, that note JC hits? The origin of *NSYNC’s signature slow lean and pop. *NSYNC were known for their moves and style, but this track proved they could SING. We get chills every time we listen to it. If we ever get to hear this live (Which we will because a reunion tour will happen.) we will be in tears. Don’t you feel awesome when you can sing along to that quick verse at the beginning? Basically, *NSYNC sang about Face Time before it was even a thing. Yes, they rode mechanical bulls during this song on tour. We literally could not be more excited for the upcoming Backstreet Boys documentary! It’s in theaters January 30th, and is just the perfect pick-me-up during that dreaded post-Christmas, concert-less vortex known as January and February. Watch the official trailer below! Make sure you practice your BSB choreography in the meantime, because if people aren’t dancing in the aisles in the theater we will be VERY disappointed. Be sure to follow Backstreet Boys & Secret Fangirls for more updates! Backstreet Boys Show ‘Em What You’re Made Of Documentary To Be Released January 30th! Backstreet’s Back, alright? After teasing us with the trailer on tour for the last two summers, the Backstreet Boys movie finally has a release date! “Show ‘Em What You’re Made Of” will be released in theaters and video on demand January 30th, 2015! The documentary is a behind the scenes look at the best selling boyband of all time, who are celebrating a remarkable 21 years together this year. It was filmed over a two year period, including their worldwide “In A World Like This Tour.” So, you just might see yourself in the movie! Watch the trailer below and start planning that BSB screening party with your fellow fangirls now. And brush up on your dance moves, because there better be dancing in the movie theater aisles. The documentary will premiere later in 2015 on VH1 as part of VH1 Rock Docs. Follow the Backstreet Boys and Secret Fangirls on Twitter! One of our favorite Artists To Watch, LA-based boyband Phase V recently released their next single called “Never Gonna Give You Up”. Nope, you’re not getting Rick Rolled on this one, they did sample that now iconic song on the latest track! After successfully reaching (and surpassing) their Indie Go-Go campaign goal, Phase V have been hard at work in the studio and on stage making sure their fans get the best live show and EP possible. We love Phase V because they are a legit boyband – synchronized dance movies, harmonies and all. Listen to Phase V’s new single “Never Gonna Give You Up” below and help keep the boyband tradition alive! Pick up a copy of the single on iTunes now so you can sing along when you see them live! Be sure to follow Phase V and Secret Fangirls on Twitter for the latest on your favorite new artists. 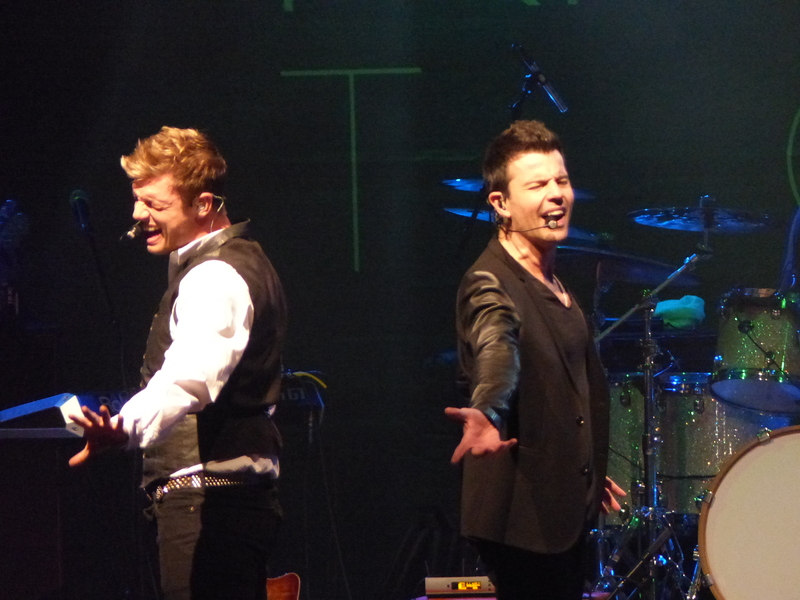 Nick Carter and Jordan Knight brought their duet project, Nick & Knight, to the Best Buy Theater in New York City on Friday night and it was everything we could have imagined and more for two boy band members teaming up for an album and tour. 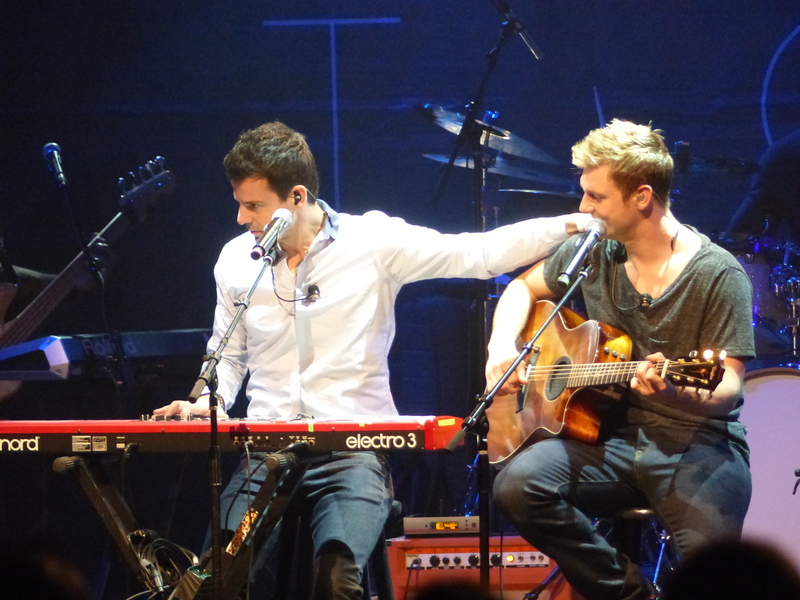 During the concert, Jordan kept picking on Nick for being a trooper and powering through the concert even though Nick had almost lost his voice and was having a hard time singing. That didn’t slow down his dance moves though, which he showcased in their terrific 90s medley mid-concert. We might be biased but the best part of the concert might have been that cover of Ginuwine’s “Pony” that had the audience screaming with delight – like it was 1996 all over again! Watch their 90s medley below, which on its own is worth the price of admission. 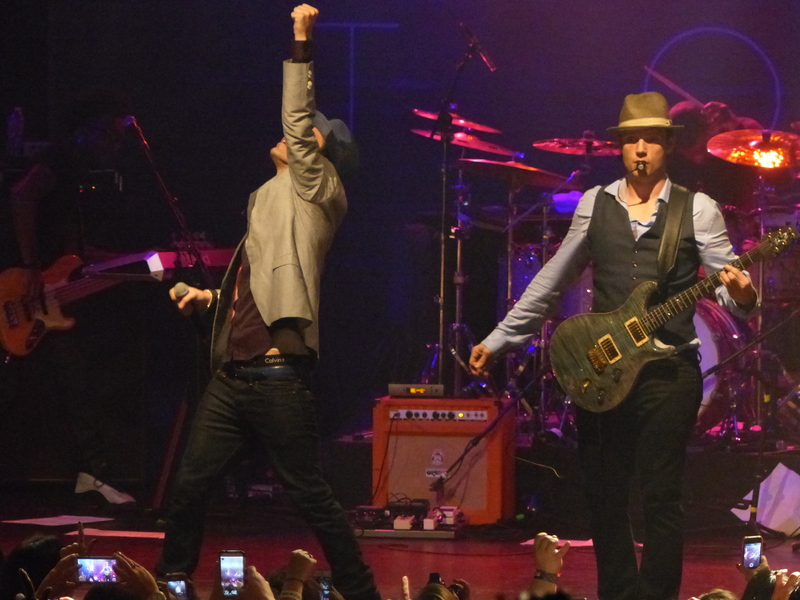 While we’re sad Jordan didn’t sing “Stingy” (Donnie was busy filming his TV show on Friday night), the sold out audience was treated to “Give It To You” and “Larger Than Life” featuring Nick Carter on the electric guitar. 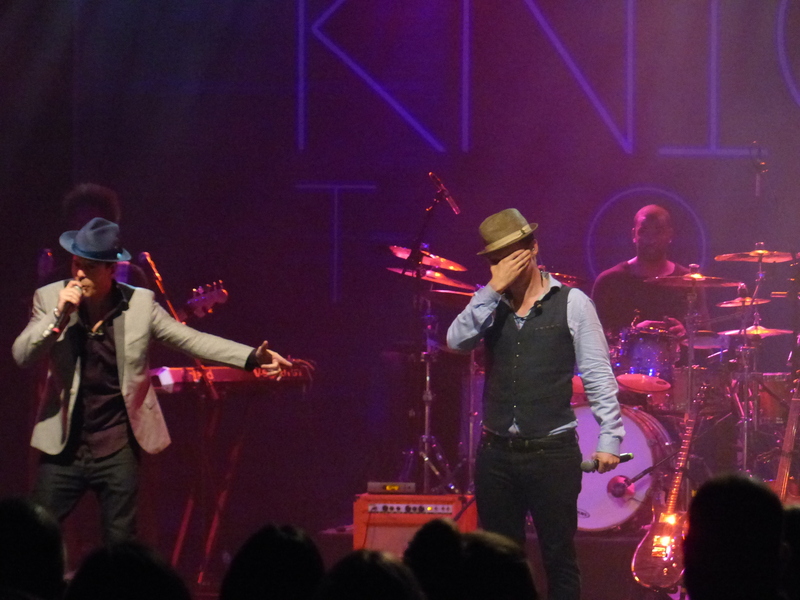 Watch Nick & Knight sing “Paper” live below. Catch Nick & Knight when they roll through your town. You won’t forget it! Check out the rest of the tour dates HERE. Pick up a copy of their album on iTunes or Amazon now. Follow Nick & Knight and Secret Fangirls on Twitter.